The latest version of iPhone 8 is set to be released later in 2017. 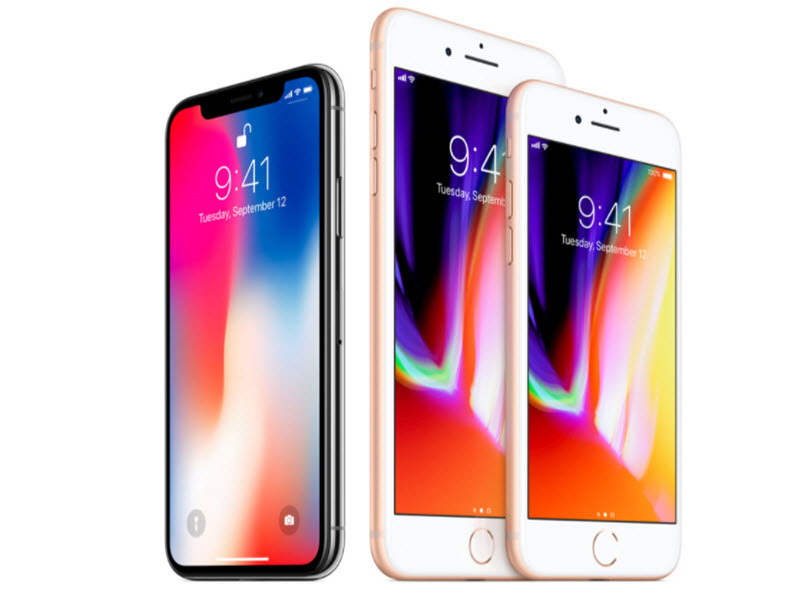 This version release is supposed to mark the 10th anniversary of iPhone releases since Steve Jobs announced this product from Apple in January 2007. So many rumors have followed the Prototype release of this version. But we are sure to see a new design and a lot of exciting features to complement the anniversary of one of the most anticipated releases yet from the tech world. Some of these new features may include an OLED screen for the first time in iPhone products. This OLED display is a feature already used by Samsung. It does not have the curvy screen, however, but still, maintains its straight screen. With the absence of a physical home button and a smaller frontal sensor panel on the prototypes so far, there is going to be more screen. An anticipated 5.8 display screen which is more than the 5.5 in iPhone 7, although the iPhone 8 is expected to be slightly smaller and so on. These features have been met with a lot of mixed reactions though but here is one feature we are excited to see. Craig Federighi has announced a new feature that will be added to the new iPhones. This feature is a ‘Do Not Disturb Driver.' He announced this at the Worldwide developer's conference in San Jose. The feature is to be introduced with the IOS 11 software upgrade. The function is set to turn on automatically when your phone senses you are driving and mute all notifications. With this feature on, your phone remains dark, saving you the distractions you get when from receiving notifications while driving. You can set it up such that your favorite contacts get an automatic reply saying you will call them back when you reach your destination. You can also allow some contacts get through to you so that you can manage an emergency. Giving some special people allowances to reach you also puts your mind at rest. The rationale behind this feature is to reduce accidents caused by texting. Even with laws in place prohibiting same, so many accidents are still caused by using phones while driving. This feature promotes responsible use of phones and other devices. The IOS 11 upgrade will surely bring about exciting new things. Every other year means there is an upgrade and new version of iPhones. If you happen to be a device or iPhone enthusiast, you will want to keep up with your favorite device. This helps you stay in trend and get amazing features. So here are some of the things to consider before getting the new iPhone 8. The size is slightly smaller than the previous version. If you are into big phones, this may be a turn-off. The upside, however, is that it has been rumored to have larger display screen ‘5.8'. There is a switch from LED screen to OLED screen. OLED screens are better as they light up on their own, they do not require a backlight. This may, however, be a costly feature. Rumor has it that this version of iPhone may be made of all glass. This was a feature in the older iPhone 4 versions, but users complained about it breaking easily. This version has passed the breakability test supposedly, and as such there may be nothing to worry about. All glass is lovely by the way. It has also been rumored that there will be a change from Touch ID to Face ID. The non-existent of a physical home button on the prototype makes this rumor somewhat plausible. There is, however, a longer power button that may include Touch ID sensors, so we are not so sure what to expect. The new design and new features have been met with a lot of mixed reaction. In that case, it may be better to stick with the old versions and at the same time get your hopes up about the new version. If you have made your mind about getting the new iPhone 8 when it comes out sometime in September, then you need to dispose of your old phone. Whatever steps you take whether donating or selling, data protection should be a concern. Your phone has a lot of personal data stored in the history or cache of the phone. Even when you delete this information, they can be recovered if not completely erased. In other to secure your data and prevent this information getting into the wrong hands, you may want to consider a more permanent solution. Umate pro provides this solution. Completing deleting all data on your old phones without any trace that allows for recovering same in any way. 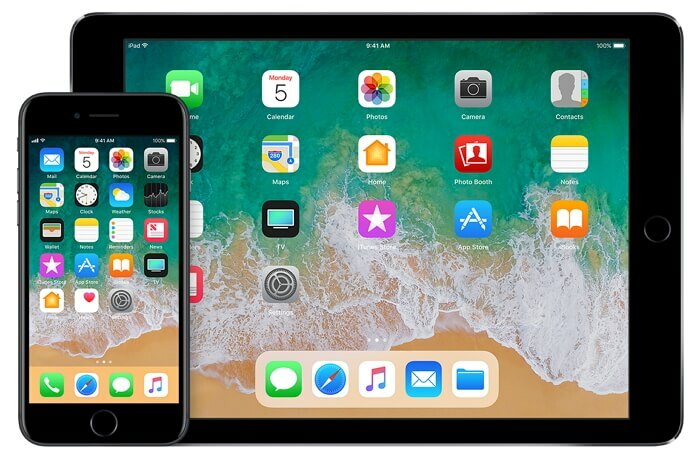 Erasing already deleted IOS data that has left traces for recovery on your device. Removing third party Applications: Snapchat, WhatsApp, WeChat, Viber etc. Improving phone performance by deleting junk files allowing it to work as good as new. Using Umate pro is pretty easy. 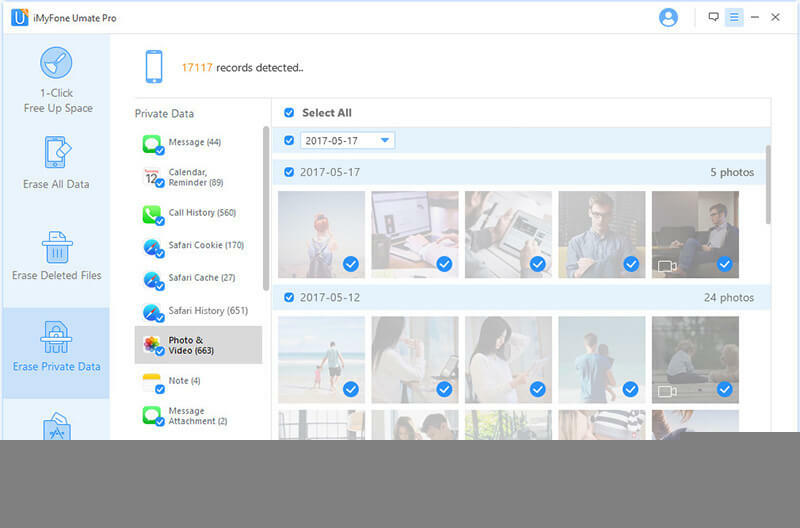 Just run it on your device; then click on erase private data and wait for all the information to be deleted from your phone. Ensure you have backed up your data before carrying on with this.